A football player from Murray's Dream Team is seen here celebrating a goal scored during a match being held to mark the team's commemoration day. • Where are your eyes drawn in this photograph? As you examine the picture, what stands out? • In viewing these three photographs together, what words or feelings come to mind to describe these young men, given Bonet’s title and description of the project? • How does the composition of each image speak to the idea of “faith in chaos”? 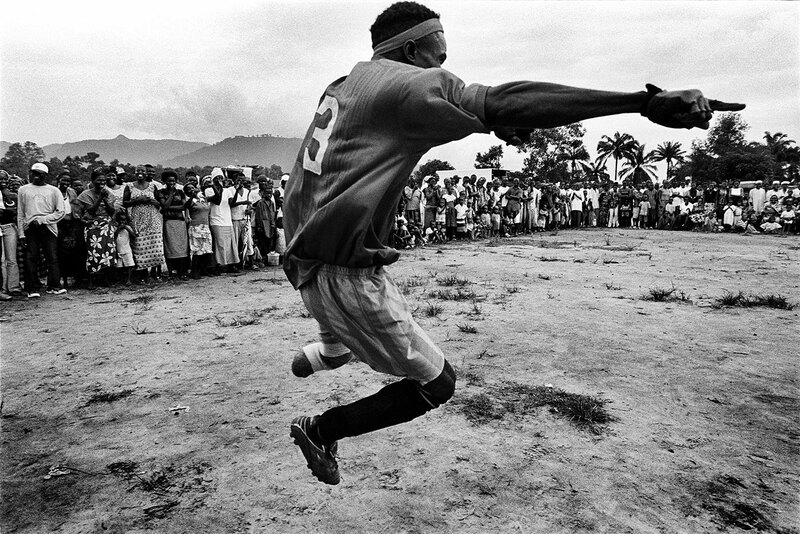 • Pep Bonet suggests that “these images shed light on a side of Sierra Leone (and Africa) that we don’t often see—of stamina, pride, and self-confidence.” In your view, what are the ways in which these images explore or convey those characteristics?